Sponsored by: Middleburgh Rotary to benefit the “Center for Donation and Transplant” in memory of Kayla Urrey. Free T-Shirts guaranteed if registered by May 18 th . Additional donations to the “Center for Donation & Transplant” in memory of Kayla can be made on the form below! Event to be held in conjunction with the Middleburgh Business Association’s Fourth Friday. Packet pickup and race day registration begins at 4:30 PM. Awards for the top male & female finisher overall and for the first 3 male & female finishers in each age group: 9 & under, 10-14, 15-19, 20-29, 30-39, 40-49, 50-59, 60-69 and 70+. Walker awards for 1 st place in each age group. 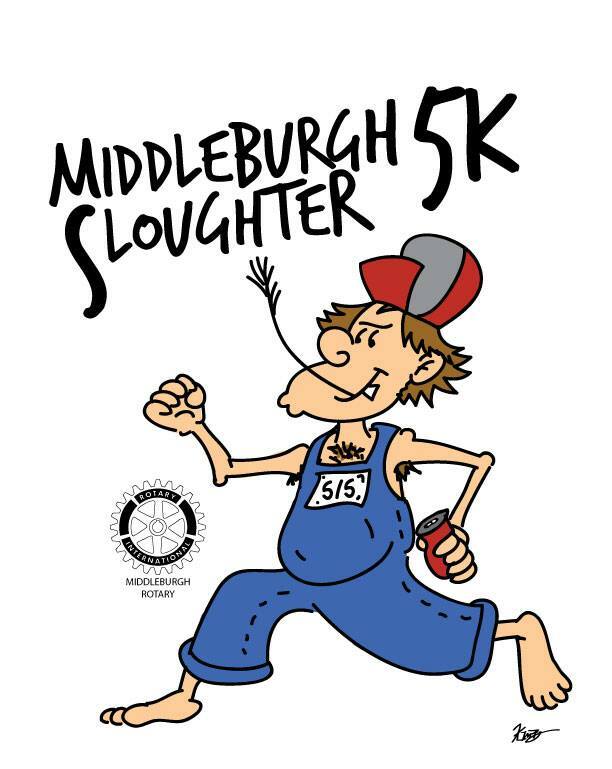 Course will be the through the Village Streets of Middleburgh and finish in High School Driveway.